We are home***sigh***, so good to be home. We had a wonderfully, awesome time with our kids and grands, but I have missed my crafty friends !!! 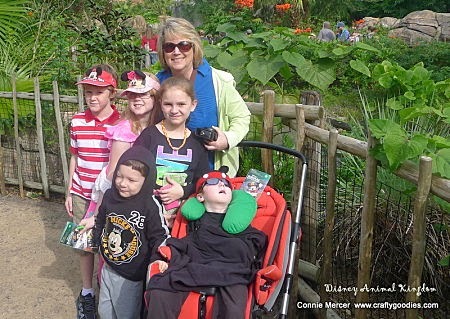 Here we are at Animal Kingdom, just getting started!!! How FUN!! I loveeeeeee the photos!!!!!! It looks like a beautiful and fun trip. 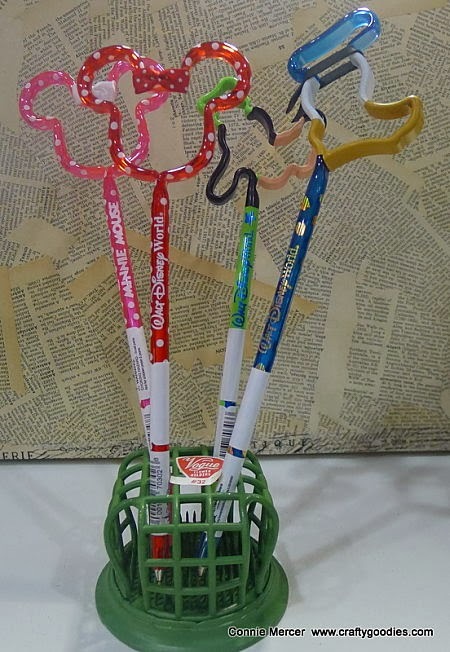 I like your pen holder and especially the Micky Mouse board. 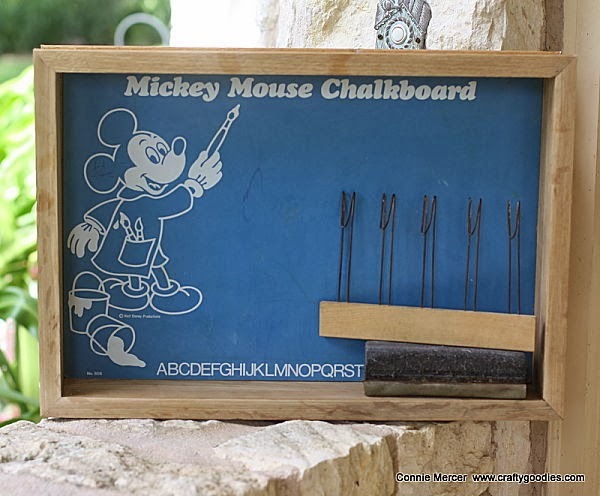 Did you get this at Disney or around the area or did you pick this up when you went junkin' at home? What fun!!! Everybody's a kid a Disney. Can't wait to see your pages. Looks like you all had fun. Disney is so fun. I just love that adorable chalkboard! Welcome home, Connie! Looks like you had a wonderful time! 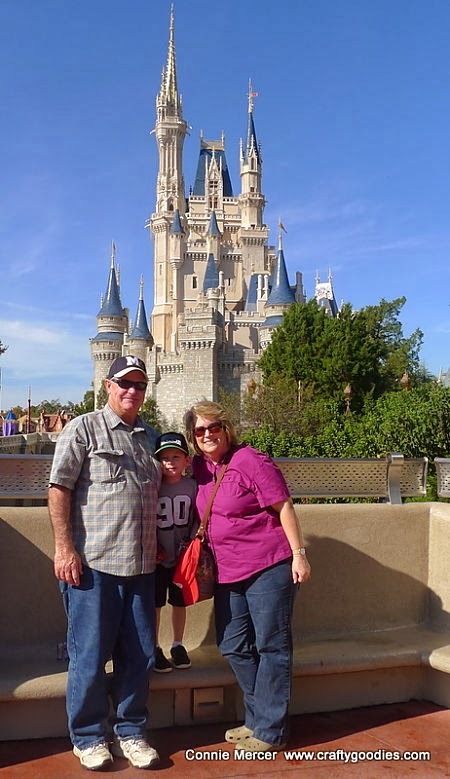 Connie, can't wait to see all the Disney scrapbook goodies you will make with those 5 darling grandkids and your trip to Disney World!!! 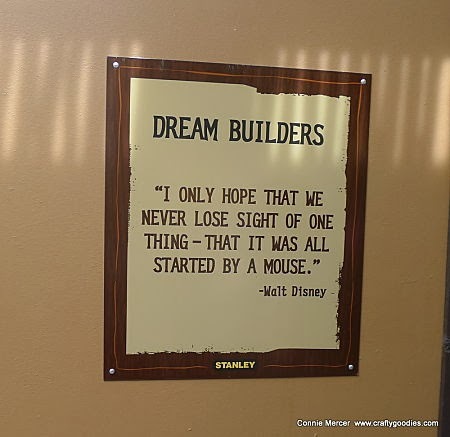 Disney has my heart! Connie, welcome home. That sounds like a wonderful trip! Connie, I just was thinking of you. I saw a wreath made out of wine corks (with a few scattered red berries). Couldn't save the picture, or I'd send it to you! Love the pictures. I can just feel the sunshine:) Great way to start the holiday season! now that looks like fun.. great pictures.. thanks for sharing..